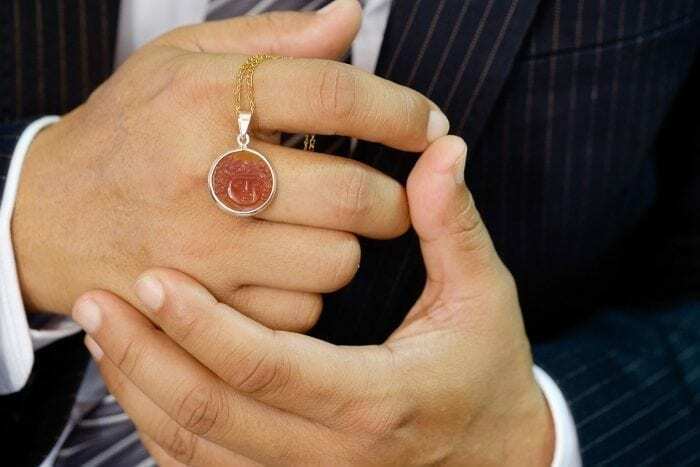 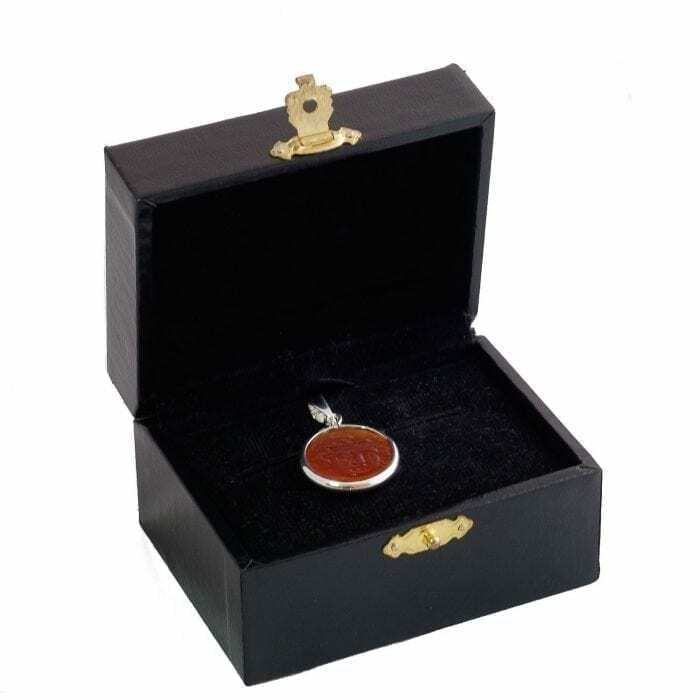 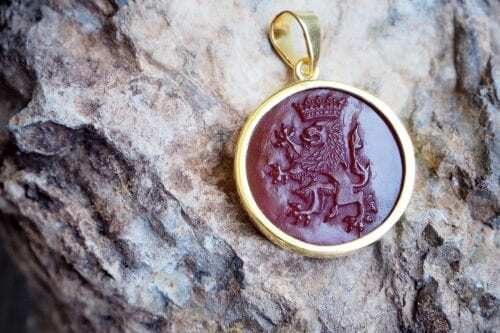 We sculpted a wonderful image of Helios The Greek Sun Goddess Pendant image from an roundel of Red Agate Pendant and mounted it in an open backed sterling silver encasement. 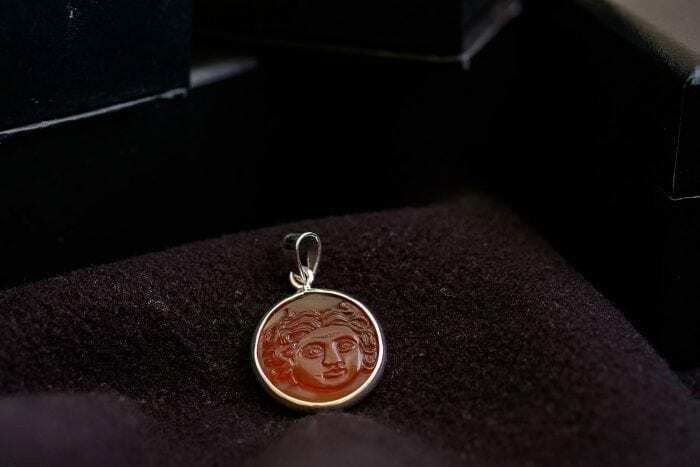 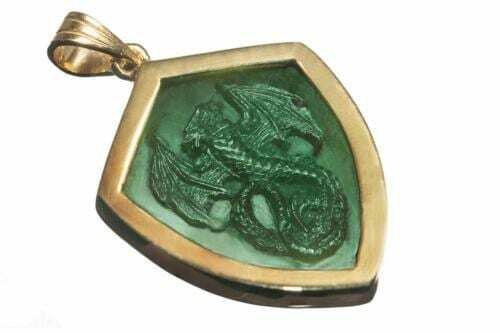 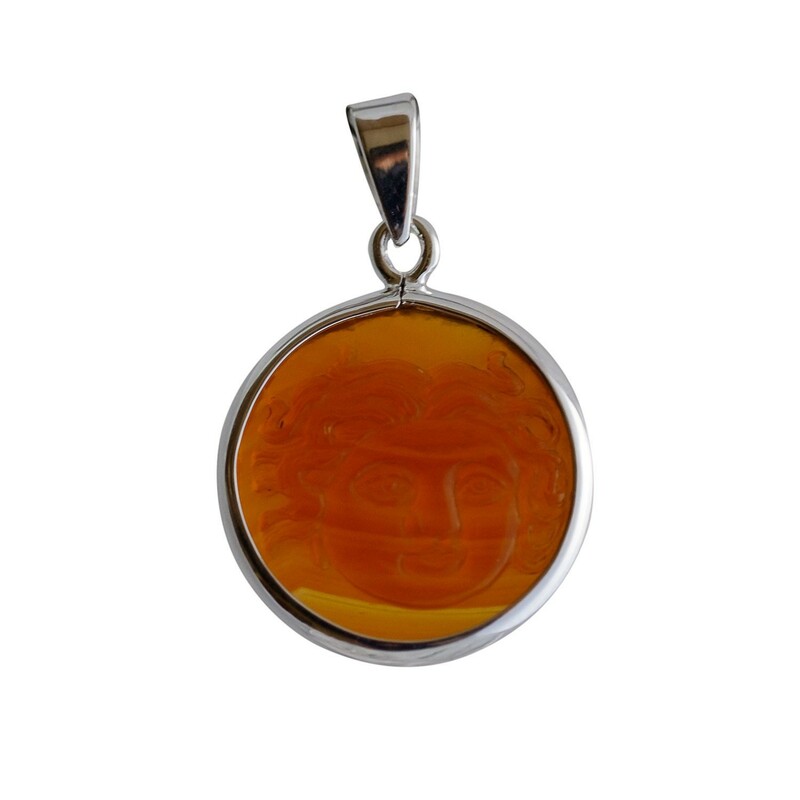 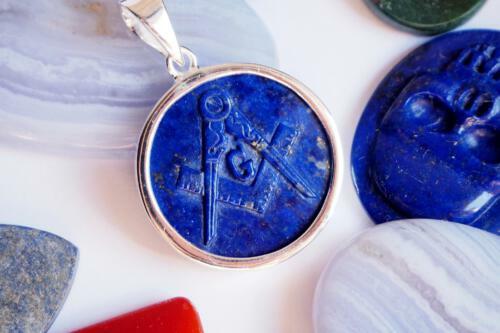 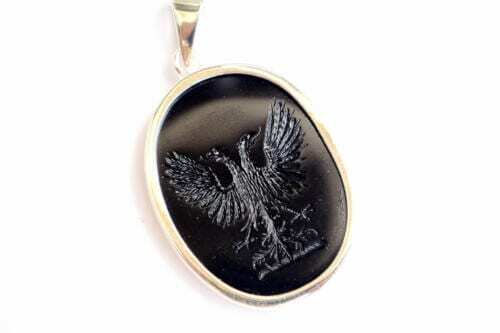 This interesting pendant with its greek design is suitable to be worn by ladies as well as men. 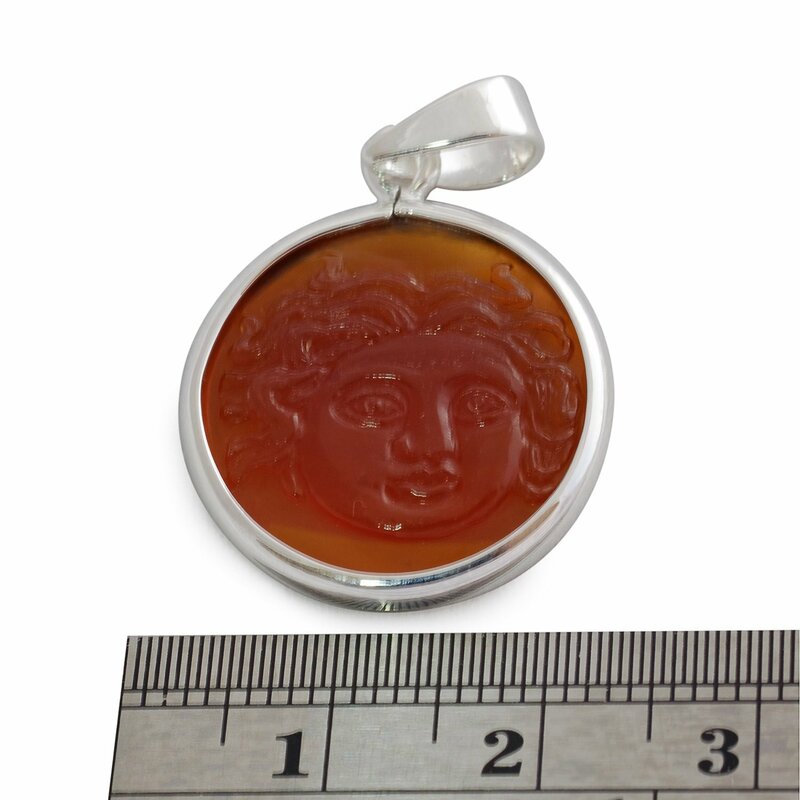 The roundel measures 20 mm (25/32 inch).